Welcome to the Adelaide Hills Natural Resource Centre (AHNRC), a community led environmental information hub. SALA@thesummit will be an exciting exhibition which includes a variety of artists and mediums. 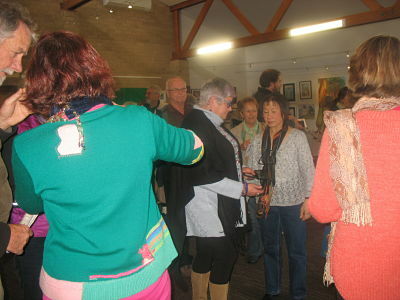 The theme this year is “Adelaide Hills, Four Seasons to be Happy”, artwork reflecting Leisure, Laughter, Love and Life. SALA@thesummit exhibition includes over 40 different artists, making this venue an absolute must on the SALA trail. “Every year we are amazed by the creativity of the artists and how they interpret the theme”, said curator Seán Wessex- Brown. “Along with paintings, there will be some beautiful glass etchings, wood and copper sculptures, mosaics and tapestry. It really will be an inspirational experience”. The exhibition will be launched on Friday August 17th at 11am by Paul Bouchereau who won last year’s “People’s Choice Award”. Visitors are encouraged to vote for their favourite piece again this year. 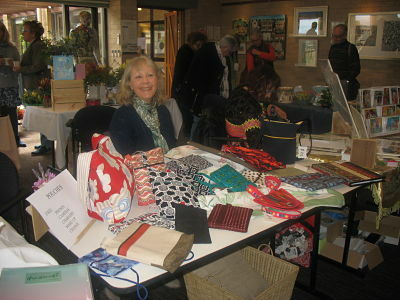 On Sunday August 19th there will be a craft market, with local handmade items for sale, including bags, mosaics, sketches, knitted items, mandalas and books. The Uraidla CWA will tempt you with delicious home-made cakes and pastries – there is nothing like a country baked cake! The exhibition runs from August 17th – 26th and is open 9am – 3pm Monday to Friday and 12 noon – 4pm on Sunday 19th and 26th. The People’s Choice Award will be announced on the final day when visitors can also enjoy wine by the glass from Kersbrook Hills Wines and Cider. SALA@thesummit is held at The Summit Community Centre, 4 Crescent Drive Norton Summit and is a joint venture between The Summit and the Adelaide Hills Natural Resource Centre. Entry is free. Enter your email address to receive email notifications of news and events.